In the words of America’s two-faced president – When a terrorist kills Americans or cops, Obama always says, “Their motivations are unclear.” But when a white cop kills a black man, Obama’s immediate conclusion, regardless of the facts or lack thereof, is that the cop is racist. His attorney general reflects his twisted agenda. 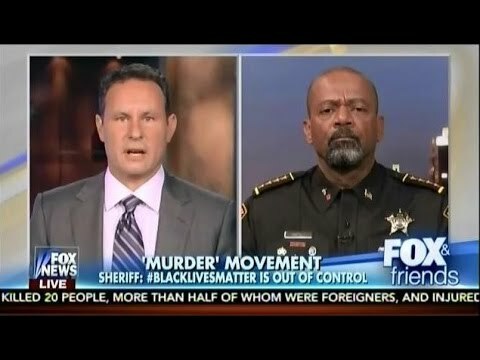 Black Lives Matter, America’s newest racist hate group, is the child of the Obama regime to create civil unrest, conduct riots, and assassinate police all in the name of liberty for black criminals. Blacks of the Democrat Party not only for half the criminals in the country, but are becoming Islamists to adopt the violent teachings of Muhammad’s Jihad and reject Jesus and Martin Luther King, Jr. Their well-crafted propaganda campaign is designed strictly to dupe the ignorant lemmings of the Democrat Party that; stating the fact that blacks are ten times more likely to be criminals than whites or Hispanics combined is a racist statement. 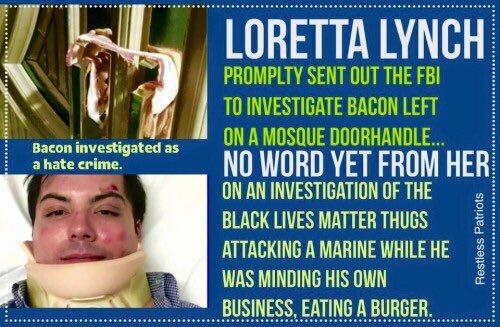 Following the shootings of Dallas police, AG Loretta Lynch made a speech that, on the surface seemed to be calling for peace, but when examined is no different than Obama’s two-faced euphemisms for black insurrection. Obama, Hillary, and Lynch are all using this opportunity to foment unrest, blame Republicans, and establish a federal police force to replace local police. This is nothing less than a rerun of Hitler’s establishment of his Brown Shirts taking control of Germany. No doubt this new force will be made up from members of the Nation of Islam, the Islamist group Black Panthers, illegal aliens, and every America hating extremist the Democrats can dig up. LYNCH: Americans across our country are feeling a sense of helplessness, of uncertainty and of fear. These feelings are understandable and they are justified. But the answer must not be violence. The answer is never violence. Rather, the answer — our answer, all our answer — must be action. Calm, peaceful, collaborative and determined action. We must continue working to build trust between communities and law enforcement. We must continue working to guarantee every person in this country equal justice under the law. LYNCH: We want to take a hard look at the ease with which wrongdoers can get their hands on deadly weapons and the frequency with which they use them. LYNCH: Those who seek to improve our country through peaceful protest and protected speech, I want you to know that your voice is important. Do not be discouraged by those who use your lawful actions as a cover for their heinous violence. We will continue to safeguard your constitutional rights and to work with you in the difficult mission of building a better nation and a brighter future. RUSH: You realize what this is? Lynch’s speech was not about BLM stopping violence, but about taking guns away from law-abiding citizens. She speaks of peace, but her demand is for police to peacefully let criminals block traffic, start fires, do damage, and harm unarmed people. The Obama’s regime’s idea of “improving the nation” is to subjugate the citizenry under the boot of government in favor of the thugs of BLM and their ilk. This has never been about racism. It has never been about 1st Amendment rights. It has never been about protecting blacks. And it certainly has never been about making America a better place. Like wrecking the health insurance system, this is about Democrats deliberately breaking down the system of law and order, fomenting unrest, provoking citizens, and inciting criminals to create as much chaos as possible. Their hopes are that the citizens will ask the government, i.e. Democrats, to stop the carnage, and the Democrat answer to that will be to establish Martial Law. This entry was posted in Election 2016, Obama's legacy, Racism and tagged Barack Obama, Black lives matter, Cops killing blacks, Dallas cops murdered, Elections 2016, Loretta Lynch, Obama's War on Cops, Obama's war on white people, Racism, Rush Limbaugh, War on Cops. Bookmark the permalink.